Sudhir Gupta, Secretary in TRAI (Telecom Regulatory Authority of India) has issued a framework for Direct to Home (DTH) operators in India, which would bring cheers to TV viewers across the country. This framework is regarding DTH portability which will make it easier for consumers to switch operators without any hassles. This is for the first time that such a directive has been issued with clear guidelines. Customer Premises Equipment (CPE) is the technical name for set-up boxes which consumers need to install in order to access DTH services. Normally, in case a consumer decides to switch operators, he needs to purchase a new set-up box every time, and needs to pay the installation charges, deposit amount and all other service charges. TRAI observed the hassles and expenses faced by the end user during such changes, and have made efforts to address each of these issues. Operators have been asked to create a rent based system for set-up boxes as well, wherein a refundable security deposit, installation and activation fees is charged one-time. 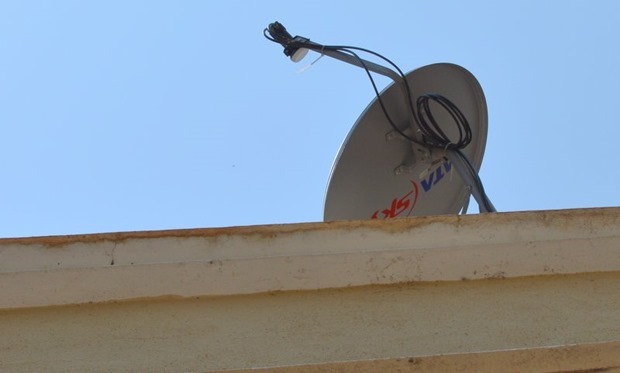 From now on, all DTH operators are mandated to offer free maintenance and repairs of set-up boxes for a period of three years. In case a technician is required to visit the premises, then a charge of not more than Rs 250 shall be levied. DTH portability was being talked about since 2009, when TRAI muted the possibility of portability option for consumers, as they are stuck after choosing one. Switching to a different operator is time consuming, expensive affair, and TRAI realized these facts finally. Certainly it’s a welcome step from TRAI, and we congratulate them for issuing the guidelines for easy DTH Portability. You can access the Tariff Order (TO), issued by TRAI: “Telecommunication (Broadcasting and Cable) Services (Seventh) (Direct to Home Services) Tariff Order, 2015 (2 of 2015)” here. "TRAI Issues DTH Portability Framework, Asks Operators To Be More Transparent", 5 out of 5 based on 1 ratings. TRAI Proposes Rs 130 Monthly Rental For 100 TV Channels Per Set Top Box! Reliance big tv is also one of cheater company they are not response to customers this company is not able to provide good services so i suggest to close this company there customer care centres are customer harrasement centres no one complaint is resolved by this company for customers only send sms that complaint is closed but really they are not provide DTH service this company is suspend the customers A/c even the existing balance is remaining in the A/c. company send sms to customers like that please recharge your A/c to resume services but they are not see that customers A/c. balance is existing and we are provide service to him when customer calling to customer care no. they are not receive customer calls immediately they take min 1/2 to 1 and half hour to receive that call so it is ‘big bakwass dth service” in india. My tata sky base price for last year it’s with discount Rs.1900 now this year it goes Rs. 5500 (with dis. its 3550). In one yr how it’s possible increasing of prices in double. This all providers are doing monopoly. is there any option to port or complaint. Tata sky call centre pathetic. No human touch, they are machines on call, without feelings. The company to be blamed to award contracts to these call centre organizations. YES , ITS TRUE dth portability start early on date as soon as possiable. Tata sky is clearly flouting Trai’s Norms…..openly….What happened to Tata’s…why its becoming like a Reliance…..No Answer…..? ?Its very Bad…I was having so much faith in Tata’s But its all gone now. Yes ! It’s true, Tata sky is joined the cheaters group and started cheating with its customers. At the beginning they represent their self as a customer friendly company, trusted and quality services etc…..
Now all things became airborne. Tata sky is started showing it’s attitude…. like we are bounded and have to accept what they want. Or service to two DTH operators.